There is nothing better in a travel-foodie blogger’s life than to receive an invitation to attend a special event involving a knife, a fork, a spoon and a wine glass. I scored such an invite several years ago from Bottega S.p.A., an award-winning Italian estate built inside Villa Rosina, a renovated and expanded 19th century manor house surrounded by ten hectares of just-picked vineyards, in tiny Bibano di Godega di Sant’Urbino, just 45 km (27 mi) north of La Serenissima, Venice. 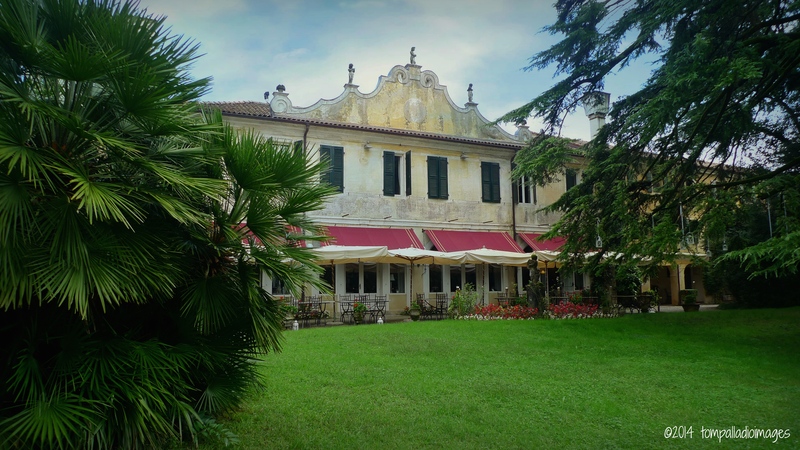 I was here, smack dab in the middle of Italy’s Prosecco and grappa-producing Veneto region, to experience Bottega’s sixth annual Festa della Vendemmia (Harvest Festival). Sandro Bottega, the effervescent owner of the estate, and his staff rolled out the red carpet on the 2014 vintage with lots of delicious food and superlative wines, grappas and spirits in an outdoor party atmosphere attended by international wine agents and buyers, highlighted by a special theatre troupe attired in 18th century Venetian costumes and accented by a live concerto of classical music by Vivaldi. 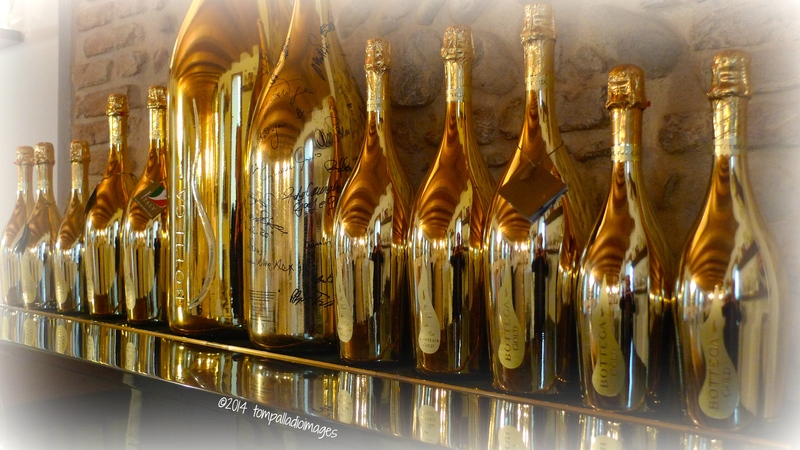 I felt as if I was returning to the “scene of the crime,” having already visited Bottega the year prior to see what all the fuss was about with this winery-distillery that bottles Prossecco in hand-blown, gold glass. You can read all about that Wine Roads of Italy dispatch by clicking HERE. Before the first bottle of frizzante (fizzy) was popped, my day, guaranteed to be glittered in gold, began at Bottega’s Soffieria Alexander, the company’s unique, off-site glass-blowing factory that uses extra-thick glass cylinders, like those found in medical labs, that can withstand cold temperatures, ideal for its prized grappas. 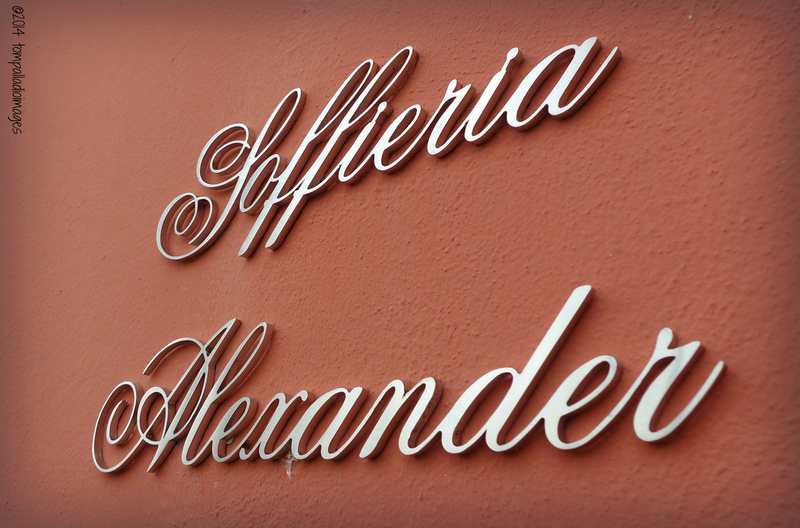 It is here, in the former residence of the Bottega family, that artisan craftsmen create eye-catching, award-winning bottles across eight of the estate’s trademarked lines, much the same as those works-of-art exiting furnaces on the island of Murano. 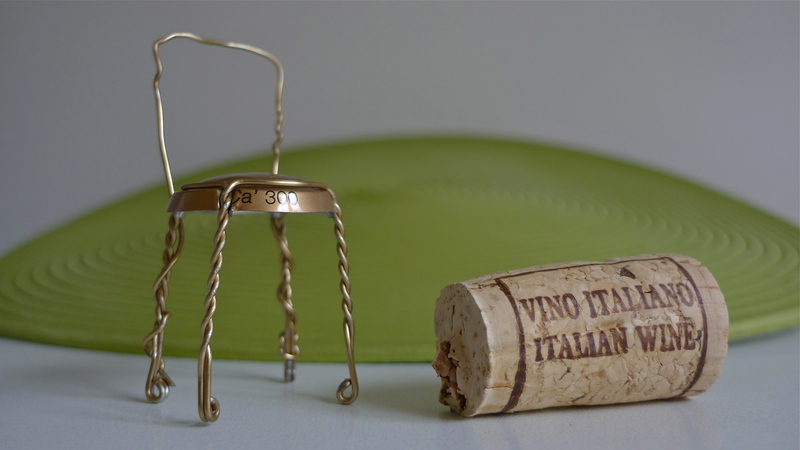 Meanwhile, back at the ranch…uh tenuta (estate), Sig. Bottega, dressed all in black, drew the first pour from a large wooden vat of the fresh, barefoot-stomped Glera grape — the Prosecco grape — took a sip, smiled, raised his glass and announced to the assemblage that the year’s harvest was…wait for it…ECCELLENTE! The Venetian theatre troupe, members of La Compagnia de Calza of Venice, followed suit and toasted en masse, along with everyone else, and Bottega’s 2014 Festa della Vendemmia officially got underway. Apperitivi of Bottega Gold Prosecco DOC, along with stuzzachini (appetizers) of grape and cheese skewers, figs and prosciutto crudo, and grape leaves-wrapped ricotta cheese, were taken in the intimate and elegant tasting room of the villa. I chatted it up with just about everyone there, including the throwback Venetians who either doffed their tricorn hats or curtseyed. Under the threat of overcast skies, we were shown our seats inside a large outdoor tent where three female musicians, Le Serenissime Dame Venice Ensemble, were tuning their 17th century stringed instruments in preparation of serenading us with a selection of classical music composed by 17th century Baroque composer and a true Venetian, Antonio Vivaldi. 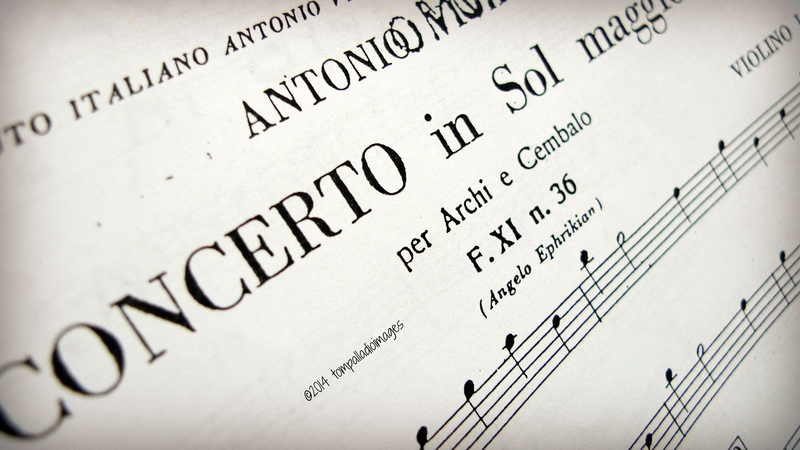 Just like the Prosecco we were enjoying, the concerto was ECCELLENTE, too. As if the festival in honor of the grape harvest couldn’t add any more bounty, it did. 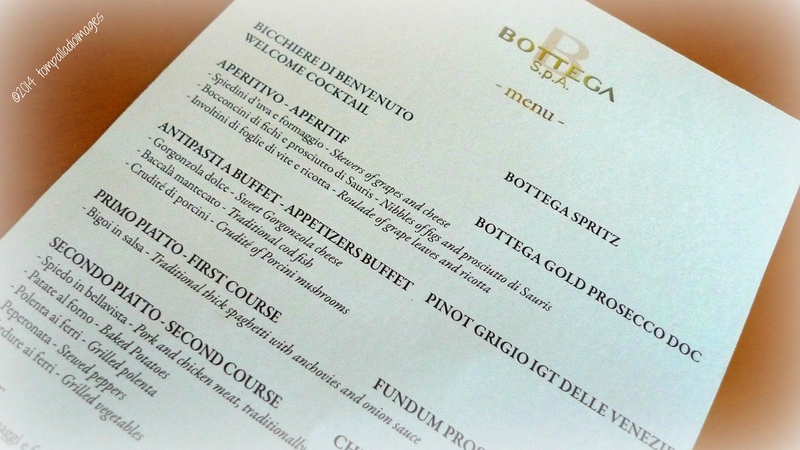 At dinnertime we all went to work over a mouthwatering, Venetian-style feast perfectly paired with a selection of Bottega’s very best labels. The first course star was the classic La Serenissima dish bigoi in salsa (thick spaghetti in an anchovy-onion sauce), wonderfully paired with Fundum Prosecco DOC. The second course, a mix of pork and chicken roasted on a spit, complimented by four contorni (side dishes) of potatoes, polenta, stewed peppers and grilled vegetables, was succulent and matched well with the estate’s Chianti Classico Reserva DOCG. Dessert — which I attempted to ignore, but couldn’t — was an assortment of fresh fruits, cheeses and tarts, accompanied by glasses of Amarone DOCG and Moscato Rosé, and followed by liquers and much-needed, strong shots of espresso. With the last wine glasses standing drained, we struggled to make our way through the front door and out to the waiting motor coach for the ride to our complimentary rooms at the atmospheric Villa Luppis, a former 11th century monastery converted into a four-star, 39-bedroom hotel, in nearby Pasiano di Pordenone. Before I can got on board, Stefano Bottega, the visionary who added gold to the family business, gifted me a huge basket of Bottega S.p.A. products: wines, grappas, creamy liqueurs and extra virgin olive oil. Evidently, someone told him about my penchant to conduct “research” at home. It’s always the right time to celebrate the wines. Having never tasted Grappa until I lived in Italy, it became one of my favorite beverages, consumed slowly and respectfully. 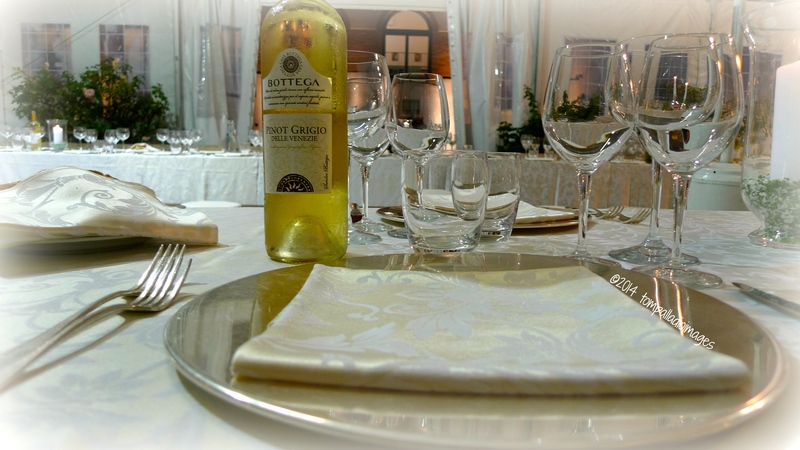 Your blog demonstrates how fine Italian cuisine and wine should be appreciated. Saluti Tomaso. Really enjoyed this weeks well prepared “Piece de Resistance”. SueJ — It certainly was.